Diet planning has been a common phenomenon among many of us. As a result of the ever increasing cases of lifestyle diseases such as diabetes and cardiovascular diseases, people are becoming more conscious about what they consume and the effect the food has on their health status and general well-being. In this regard, diets plans developed by physicians have become a norm. Diet plans are intended to enhance weight loss or to improve one’s health and reduce the potential of occurrence of lifestyle diseases. A good example of a diet plan that is quite popular is the glycemic-index diet plan. 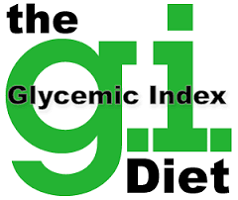 Glycemic-index diet is a diet that focuses on curbs consumptions and the associated rise in blood sugar following consumption of a particular type of food. In this regard, the G.I value is used to specify the total rise of blood sugar after eating food. Foods are categorized in different categories with respect to their position in the G.I spectrum that ranges from 50 to 100, with 100 being the blood sugar level attained from consuming pure glucose. Consumption of food while following the glycemic-index diet entails eating foods with the most appropriate G.I for the specific time of day and for a specific activity. Generally, foods are categorized into three groups. The classification entails using a range of values in each of the groups to delineate the extent of each group. This group contains all the foods that have a G.I range of between 55 and less. Foods in this category are characterized by a steady release of glucose after consumption, leading to a steady rise of glucose over time. Low G.I category contains food such as fructose, whole grains such as millet, wheat, rice, rye and barley, vegetables, seed foods, poppy, sesame, pumpkin and sunflower and beans which include soy, almond, lentil, pink and kidney beans. It is important to take note of the fact that most of these foods have a high fibre content in them. They, therefore, stay much longer in the stomach, reducing the interval between which one feels hungry. Consuming foods with low G.I helps to control the amount of food intake which helps is controlling weight. Medium G.I foods are foods that have a G.I level of between 55 and 69. Foods in this category release glucose moderately and result in a moderate rise in blood sugar level. They include foods such as white sugar, non-intact whole wheat, brown rice, fruits such as bananas, grape juice, prunes and regular ice cream. This types of foods fall between 70 and 100 in the glycemic index and are characterized by a rapid rise of glucose levels after their consumption. Foods that have this kind of effect include white bread, most white-rice with short grain, sweet potatoes white potatoes, bagels, maltose, melons, pineapples, corn flakes and many others. Foods with a high GI level are the best type of food to consume after exercising. They aid in recovery as they release glucose rapidly. G.I is affected by several factors, which determine the specific G.I each meal that you consume. In this regard, the meal might have different G.I level, depending on the level of processing, the ripeness (especially in the case of fruits), the fibre and fat content in the food and finally the cooking method used to prepare the meal. As mentioned earlier, foods with high fibre and fat content have low G.I. In terms of processing, the G.I increases with an increase in processing level. Ripeness, additionally, has the same effect as the processing level as an increase in ripeness results in an increase in G.I. The cooking method used to prepare food also influences the G.I level with factors such as the time used to prepare the food coming into play. Although there have been relatively fewer studies conducted to get precise data on the effects of this diet, there exist theories and unconfirmed studies from which we can infer about the benefits of this diet. One of the major benefits of this diet is to help control weight. One can control their weight by eating foods that produce the right amount glucose levels that their bodies require. For instance, in the morning you can eat low G.I foods that will provide energy more consistently over time, until your next meal. After exercising, it is best to eat foods that have a high G.I, thus improve your recovery process. In doing so, you control the amount of glucose in the blood to nearly the exact amount that you need, thus prevent the conversion of excess glucose to fat, which leads to gaining weight. Studies have shown that people on low G.I diet have a lower weight or lose more weight that people on a high G.I level. For more tips on the G.I diet you can also check the video below. We hope that it helps and we wish you the best! « Trouble Spot Nutrition Review – Is Krahn’s System For You?